Warren Honey has been announced as the new Headteacher at Hydesville Tower School – marking a new chapter in the leading Independent School’s ongoing development. Mr Honey will take up the post in September 2017, arriving from King Henry VIII School in Coventry where he is currently Deputy Head. He will join Hydesville as the School looks forward to an exciting academic year. Mr Honey said he is looking forward to the chance to lead Hydesville at an important and exciting time in its development: “The school has a wonderful warmth about it, as evidenced from time talking to the pupils and the staff. It is in developing and sustaining such a community that children can feel safe, happy and thus thrive. In addition, recent developments in facilities such as the new astroturf and outdoor playground have created an environment that is enriching and inspiring for the children at work and play. Mr Honey brings a wealth of experience to Hydesville having a strong track record as a teacher delivering exceptional academic outcomes and as a school leader taking a role in all aspects of school life. His professional experience in addition to teaching, includes a number of positions in two highly regarded HMC schools. 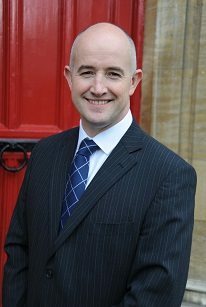 Throughout his career, he has been driven by combining excellent pastoral care for children alongside high expectations to reach the best outcomes and destination school for each child. Mr Honey was particularly attracted to the warmth and enthusiasm of the members of Hydesville – both staff and pupils – who he said are genuine ambassadors for the school. “Since Hydesville is an all-through school, it has a wonderful capacity to enrich pupils’ lives through links between the different phases, and for children to be fully supported through whichever part of their education journey they are on at the time,” he added.